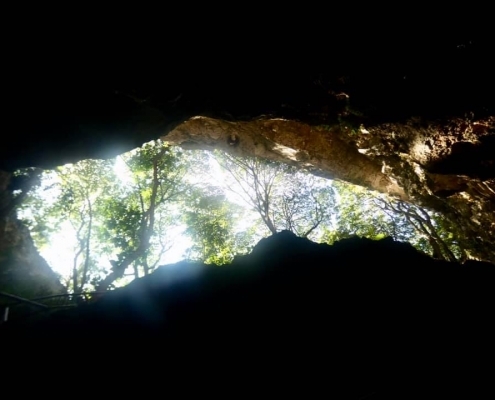 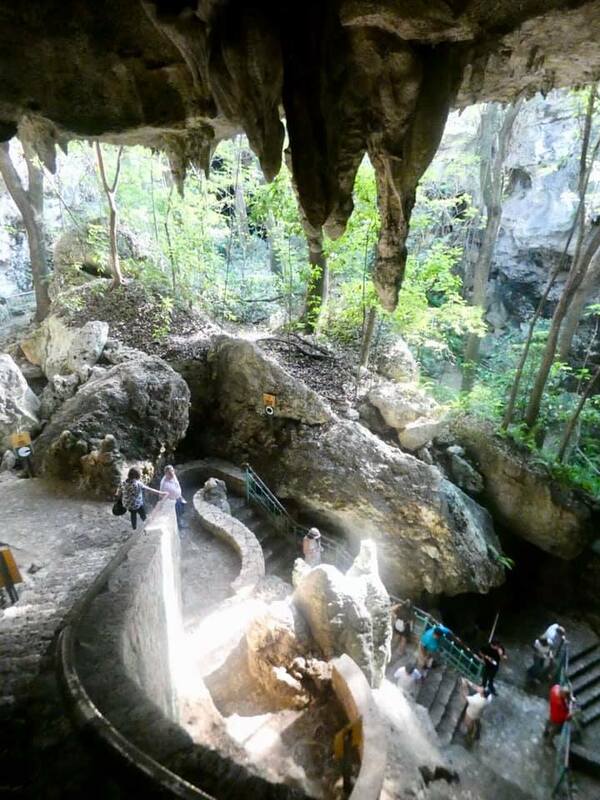 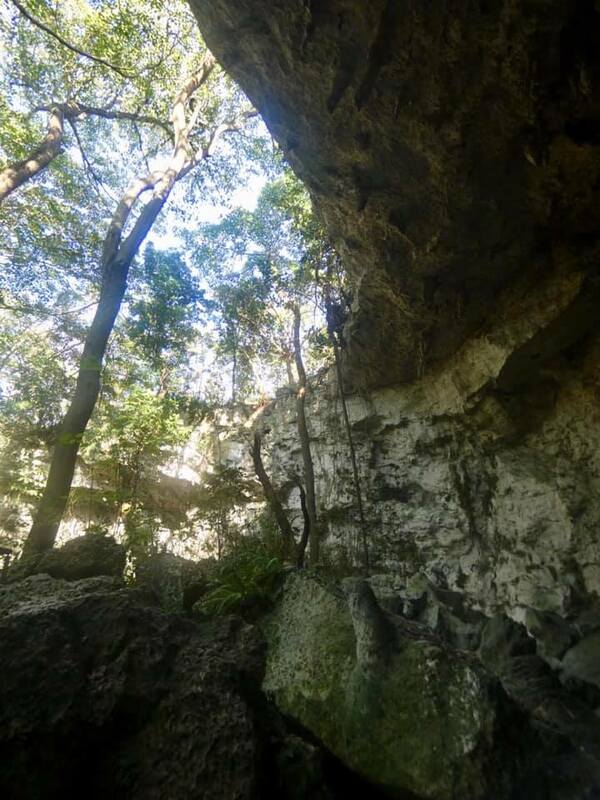 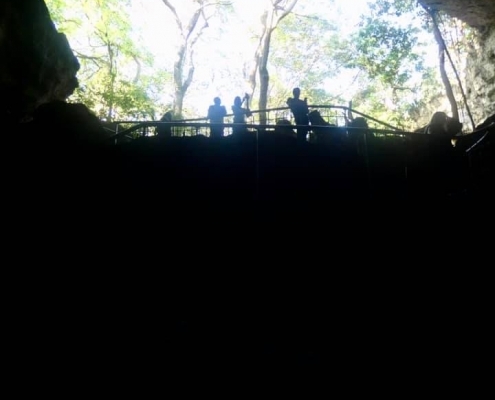 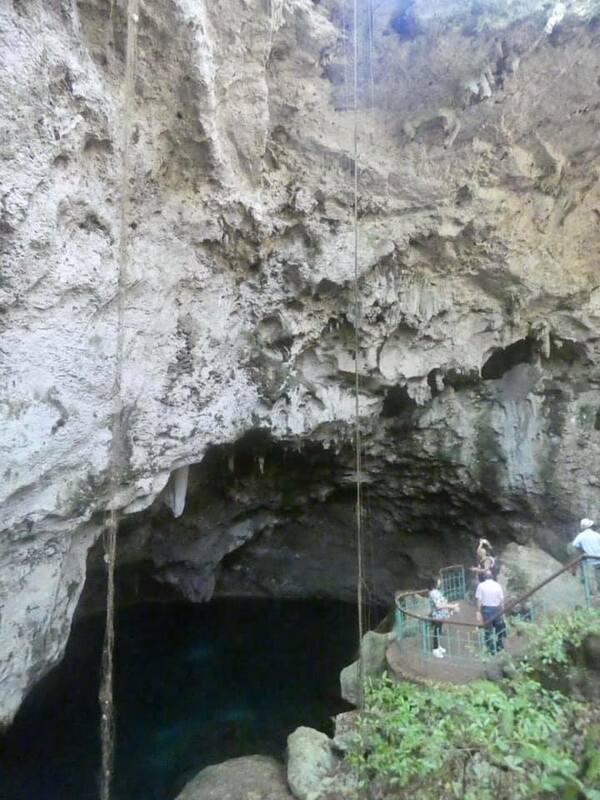 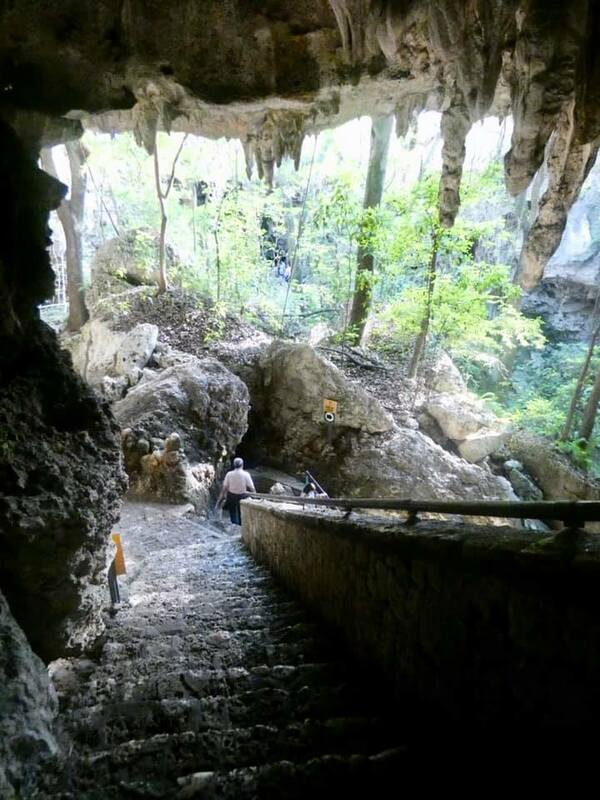 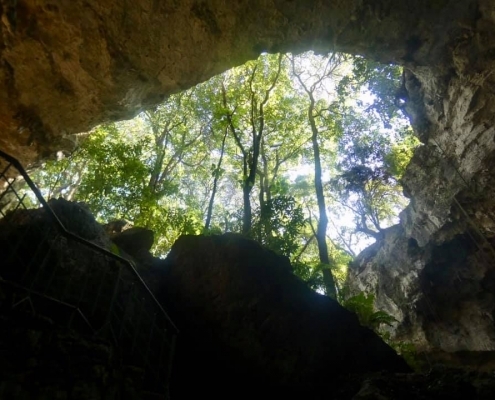 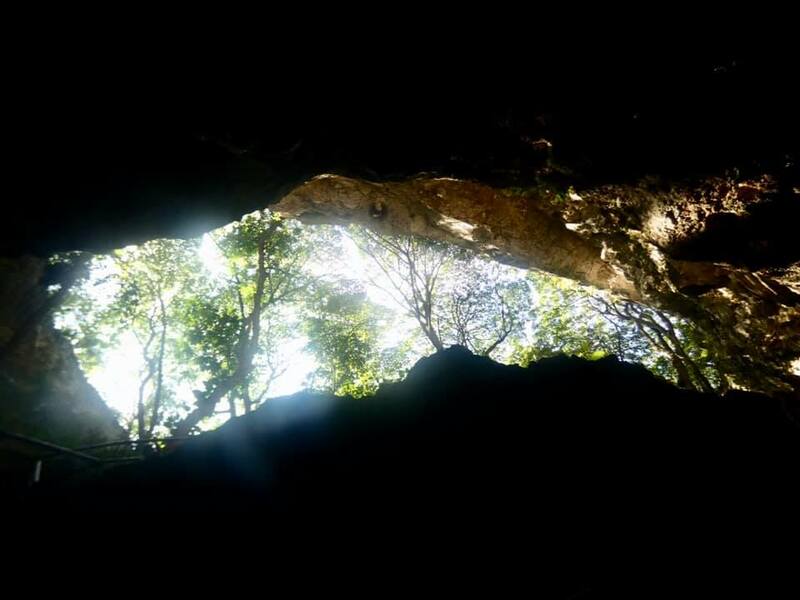 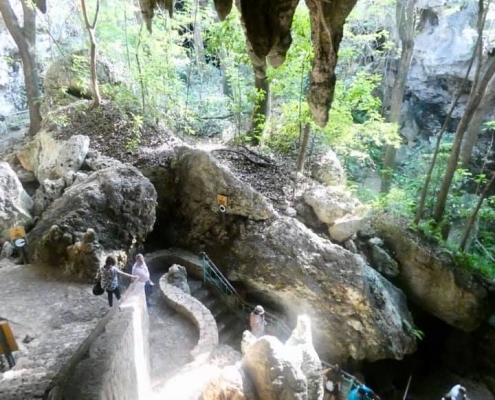 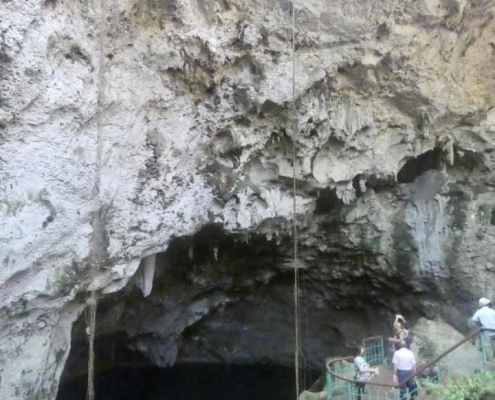 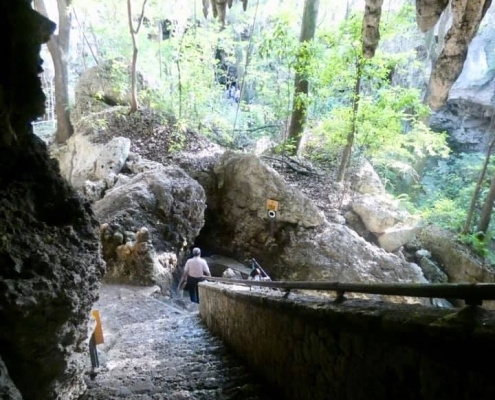 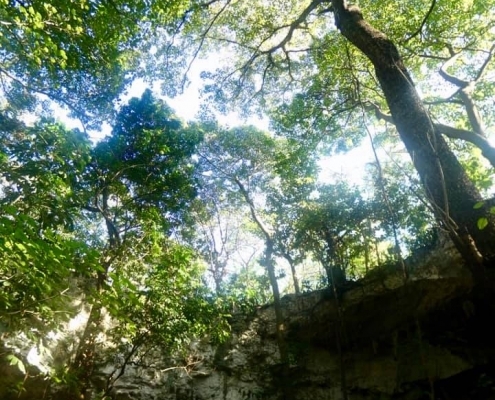 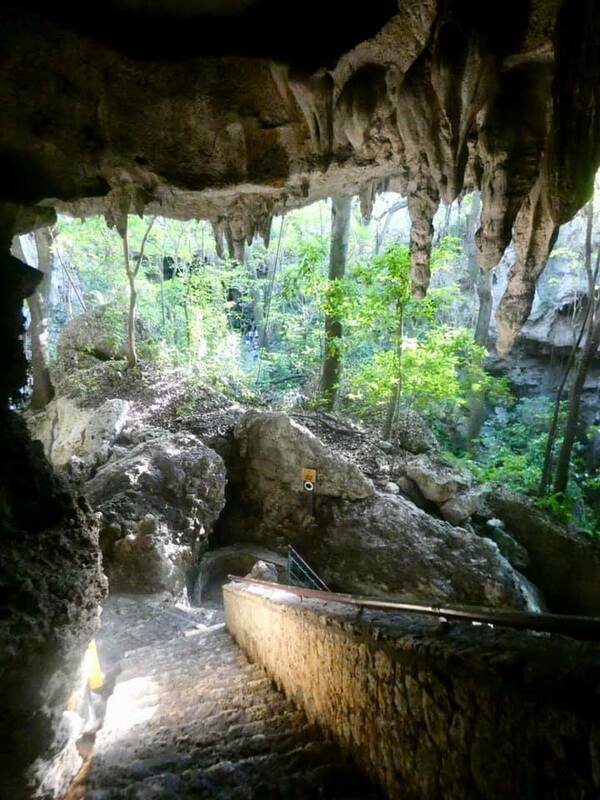 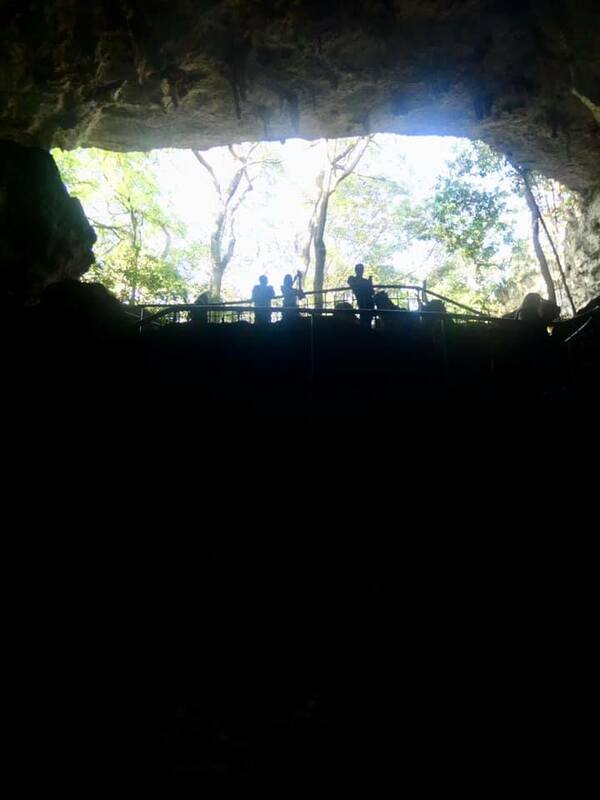 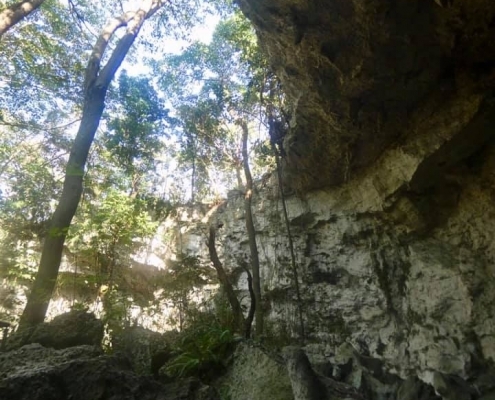 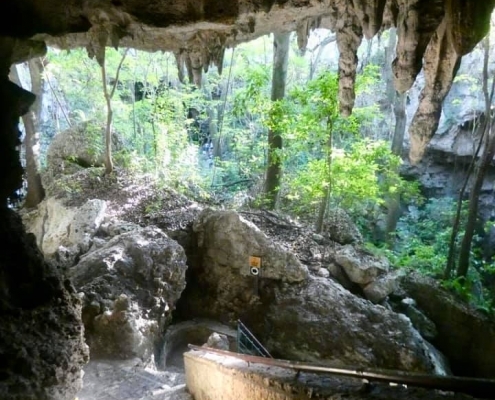 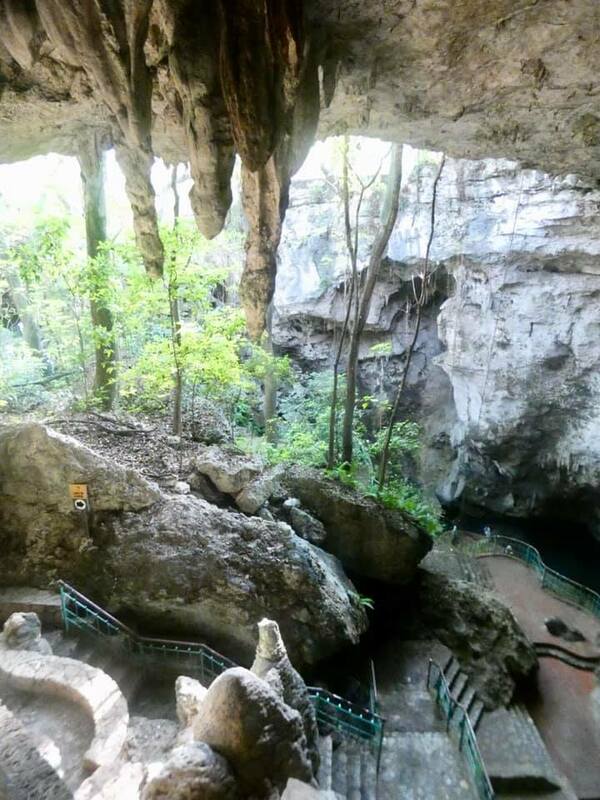 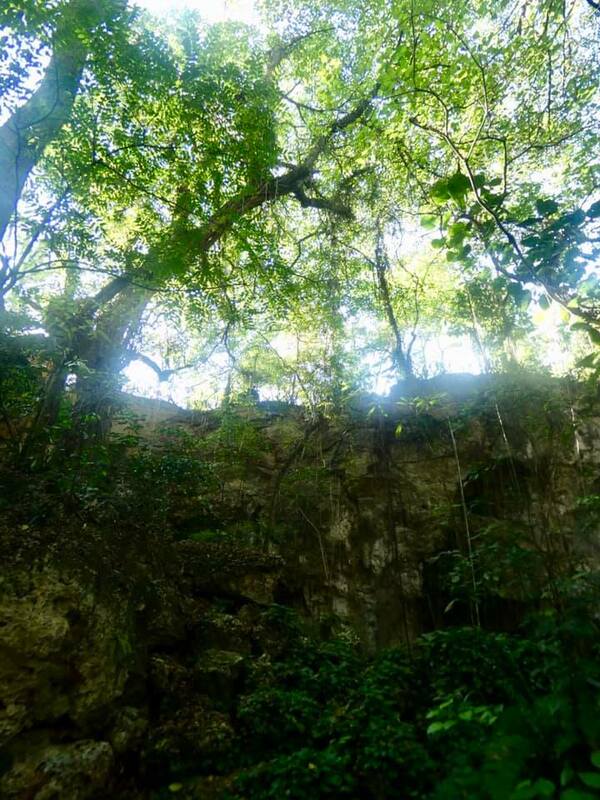 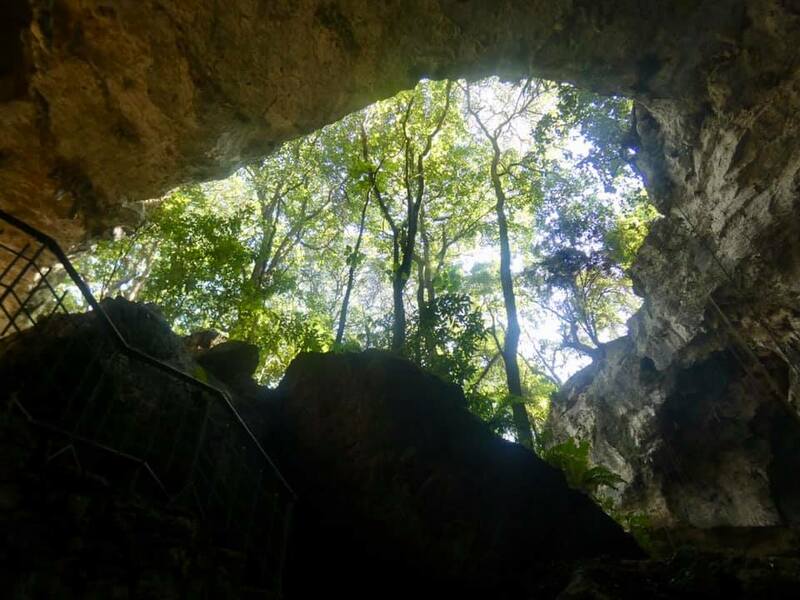 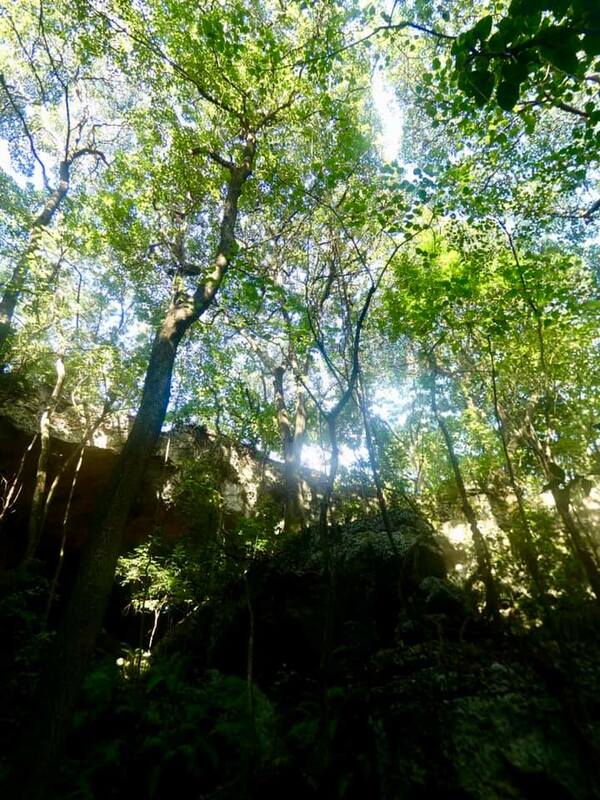 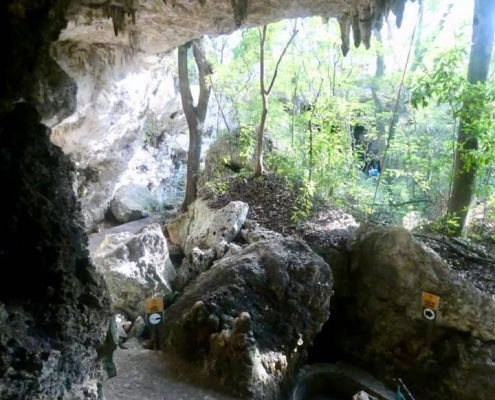 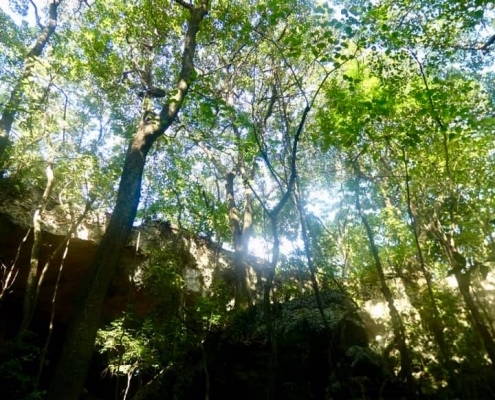 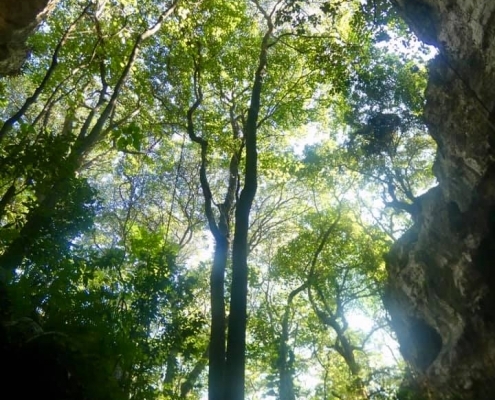 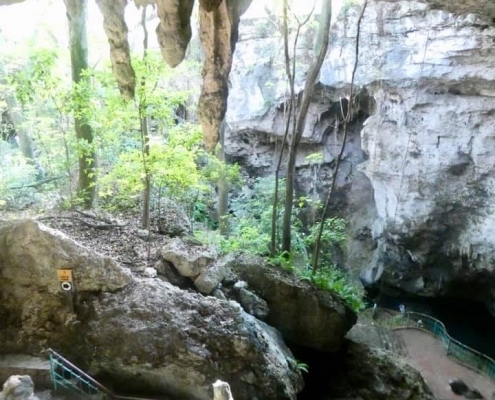 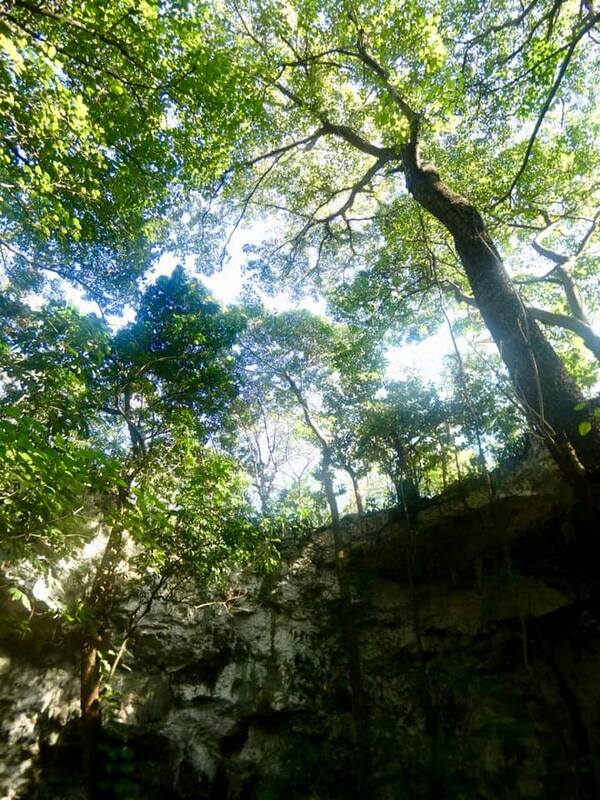 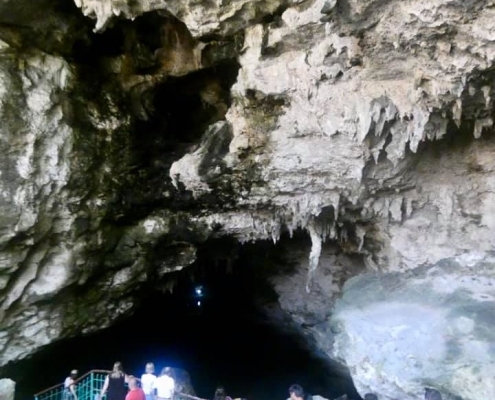 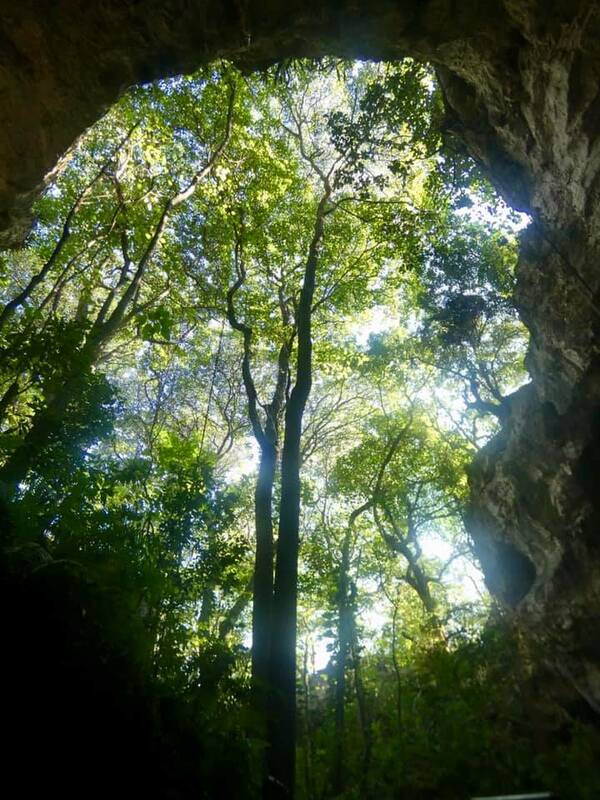 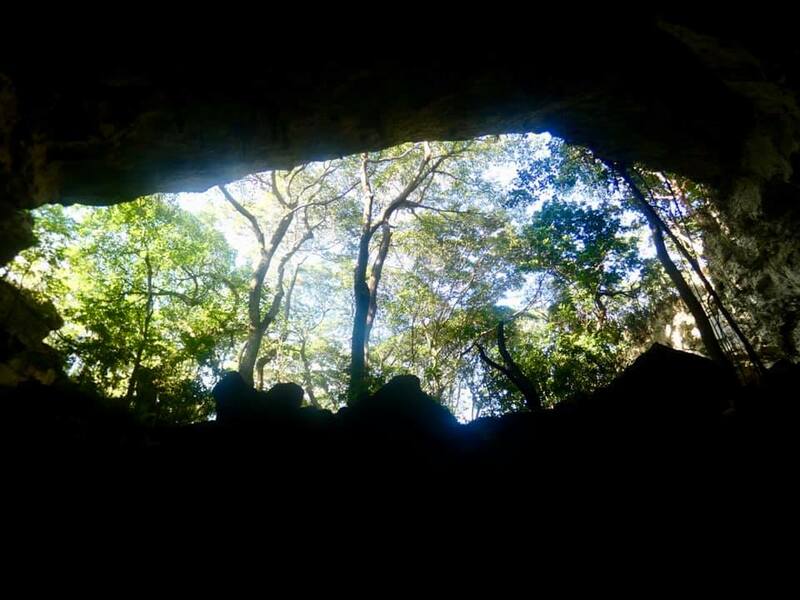 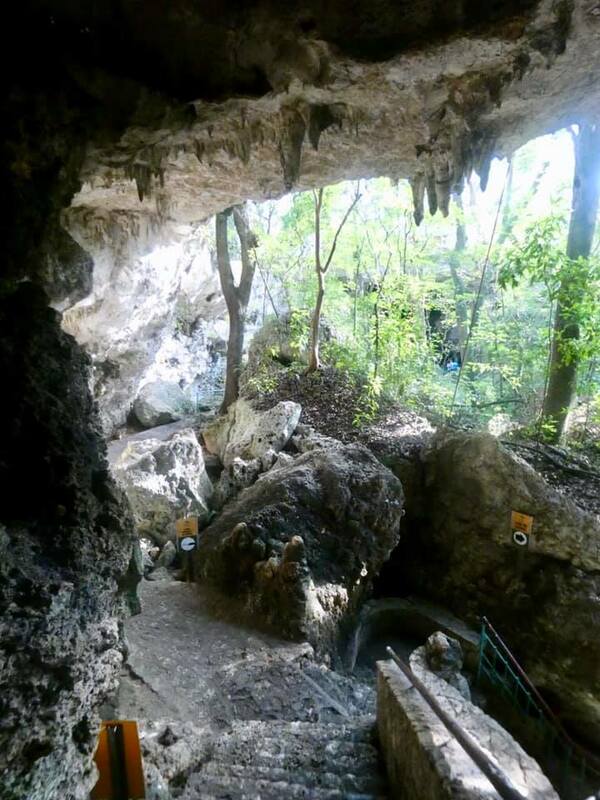 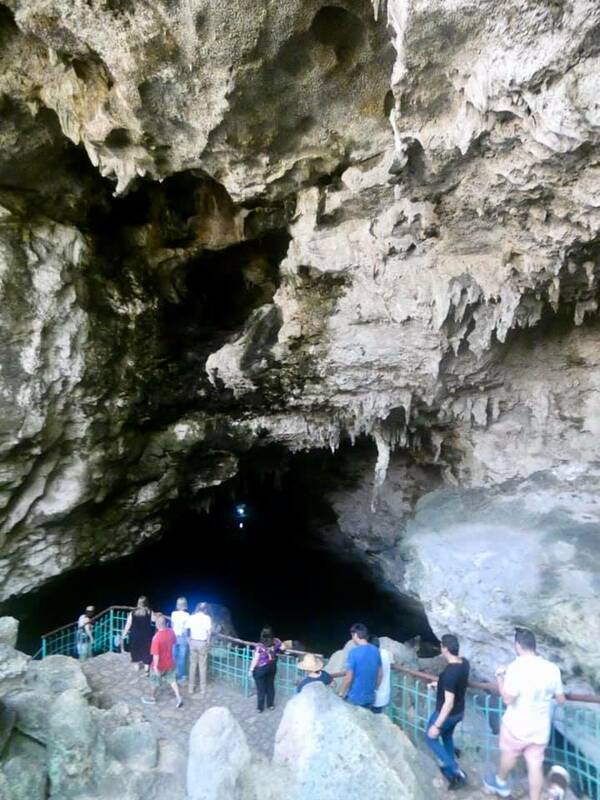 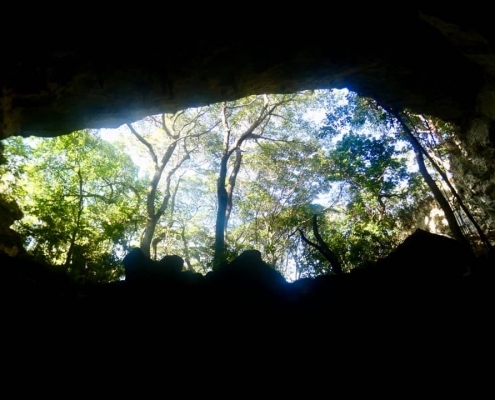 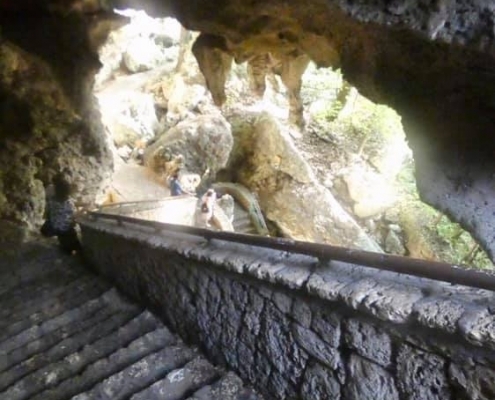 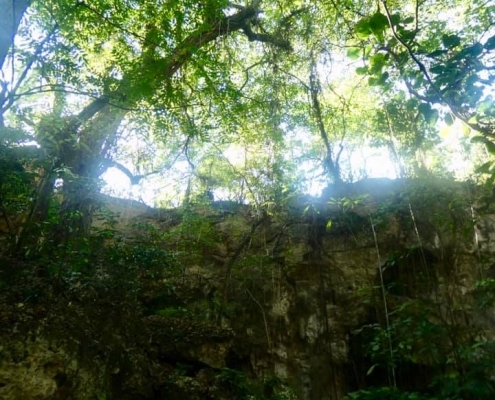 Los Tres Ojos (Three Eyes) Cave in Santo Domingo is a spectacular natural attraction right in the heart of a 3 million people city. 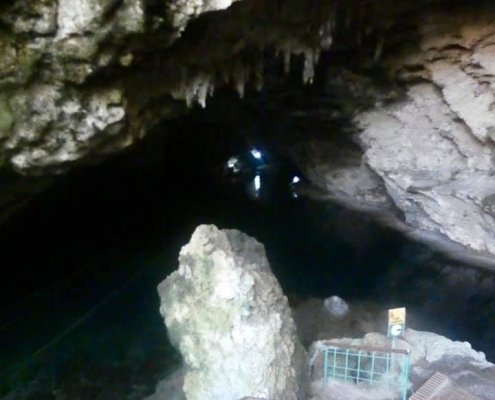 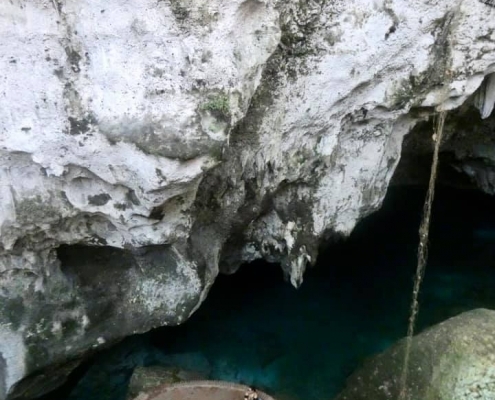 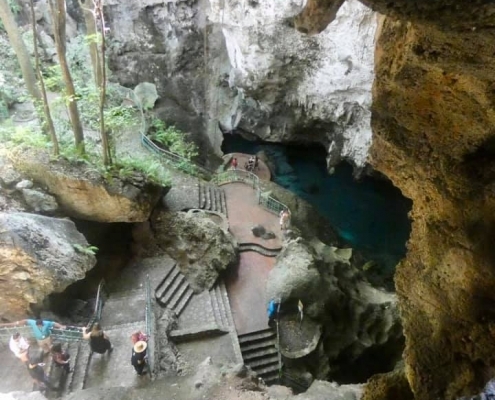 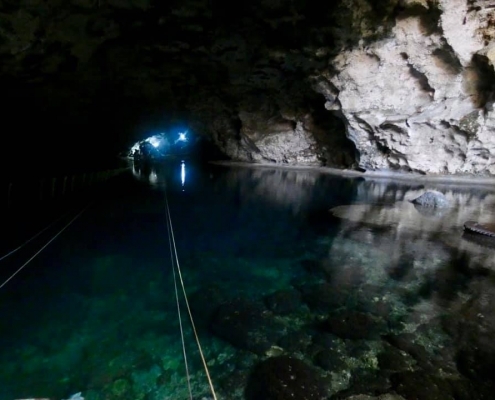 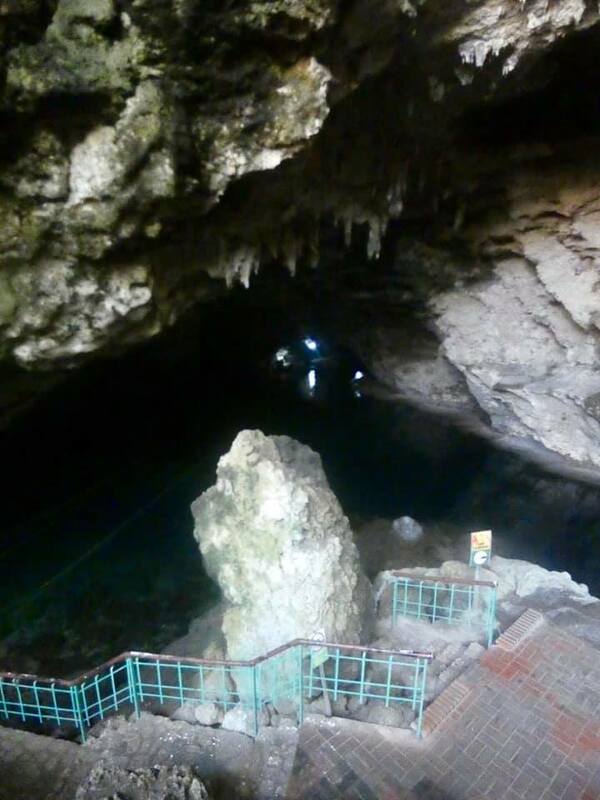 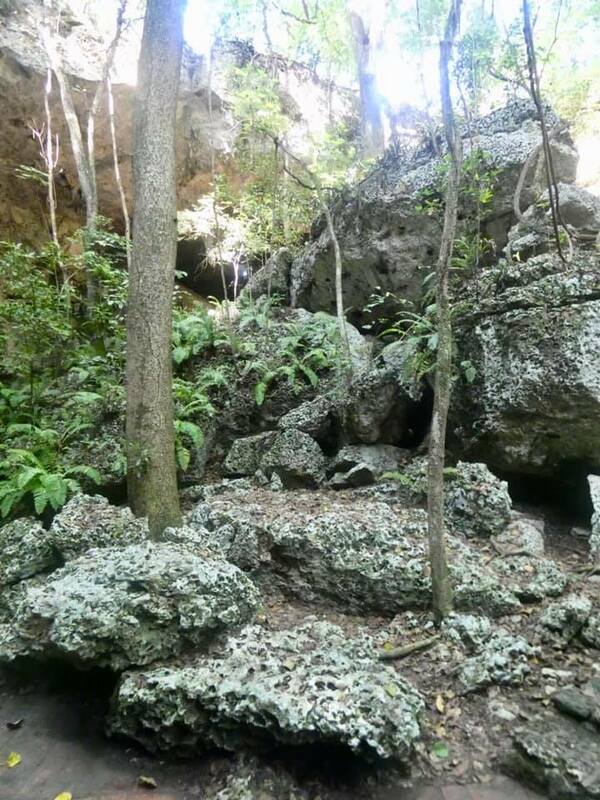 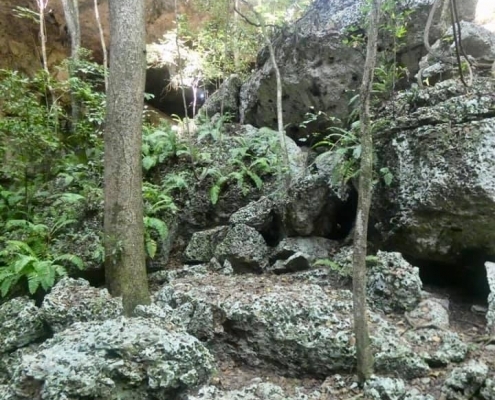 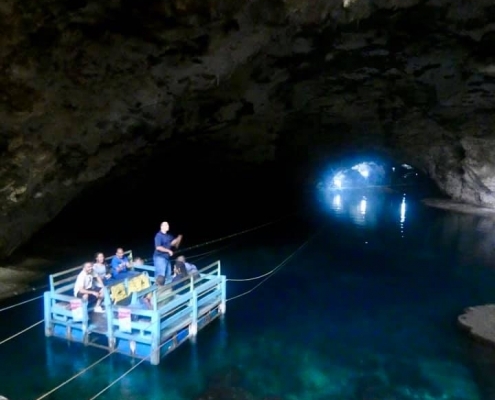 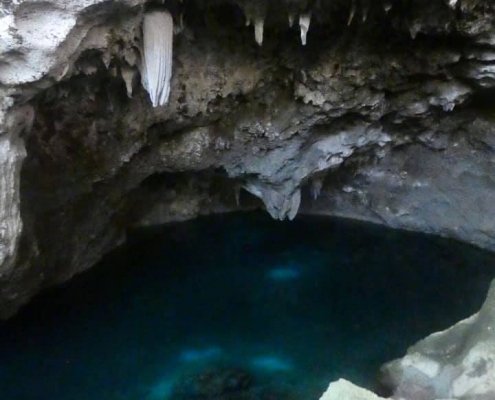 It’s an open sinkhole and cave that has three underground lakes within it. 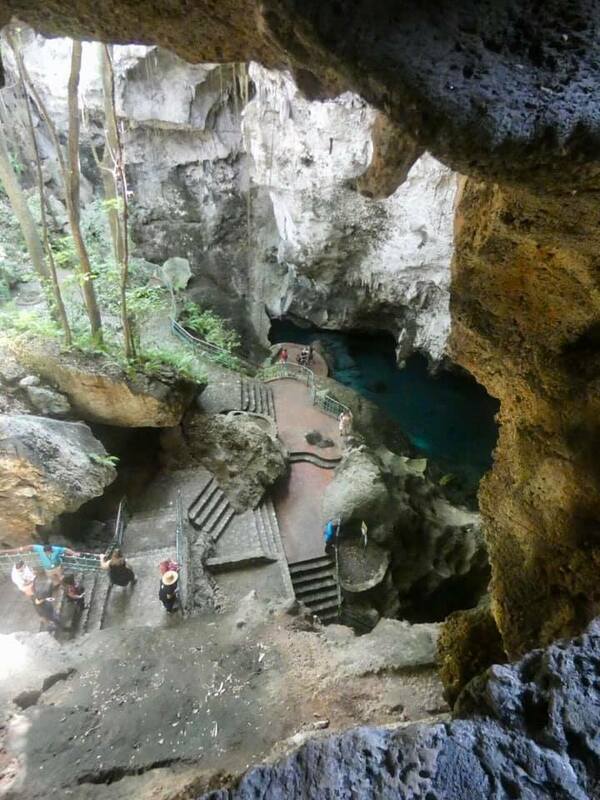 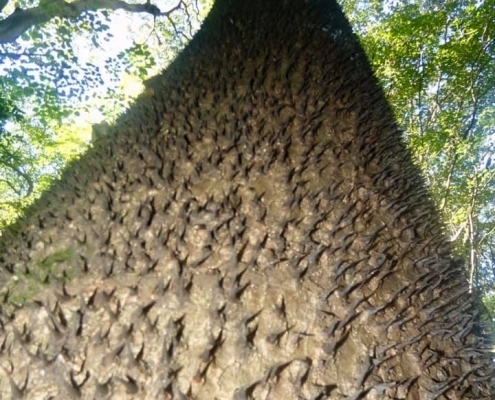 It’s really quite spectacular! 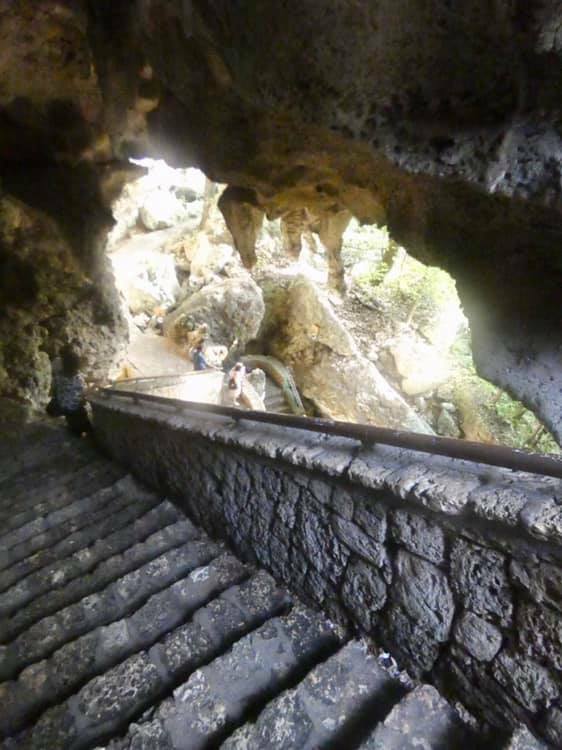 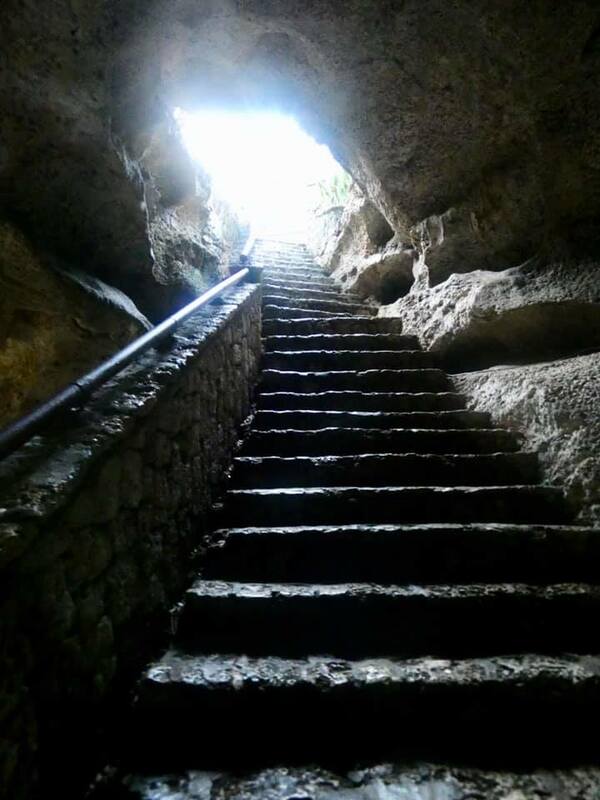 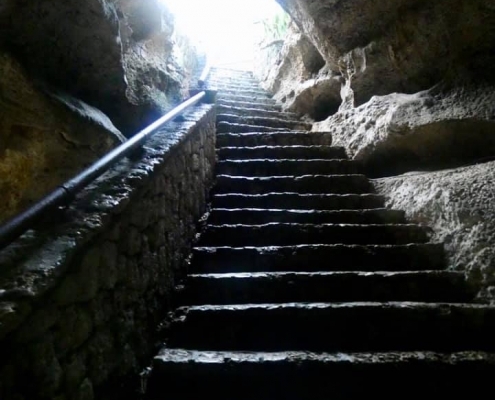 You defend 350 steps down into the bottom of it where the entrance to three lake caves are (one even has a boat ride). 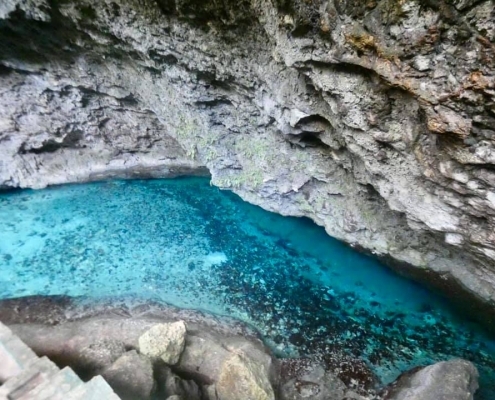 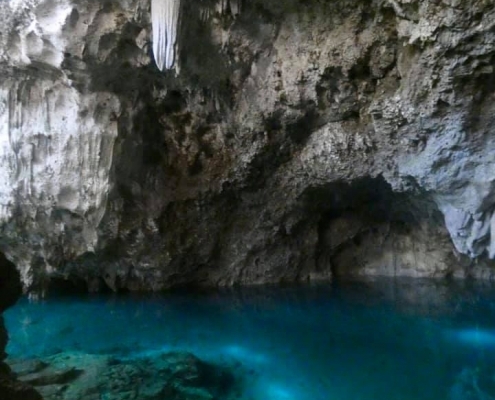 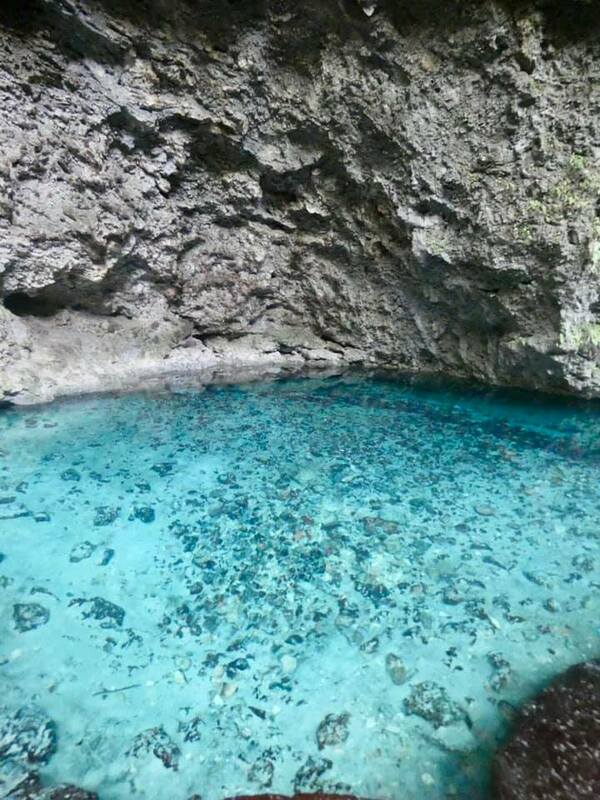 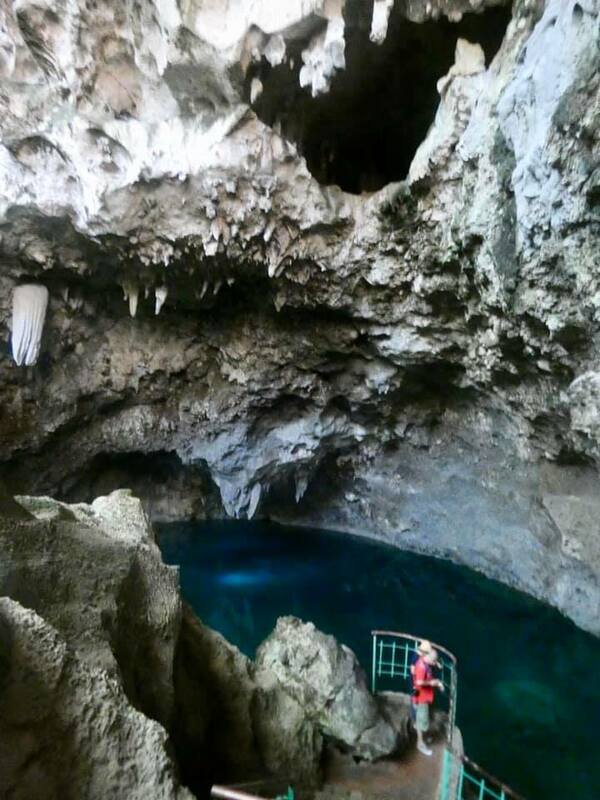 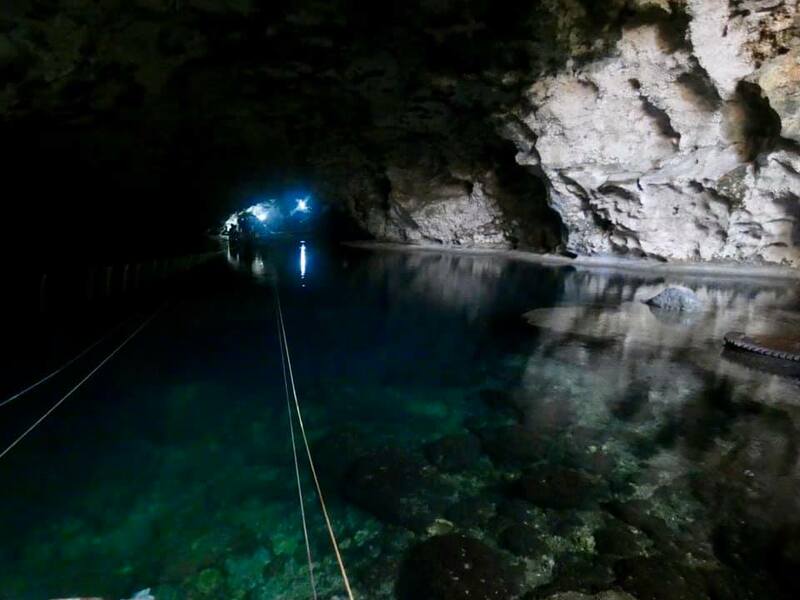 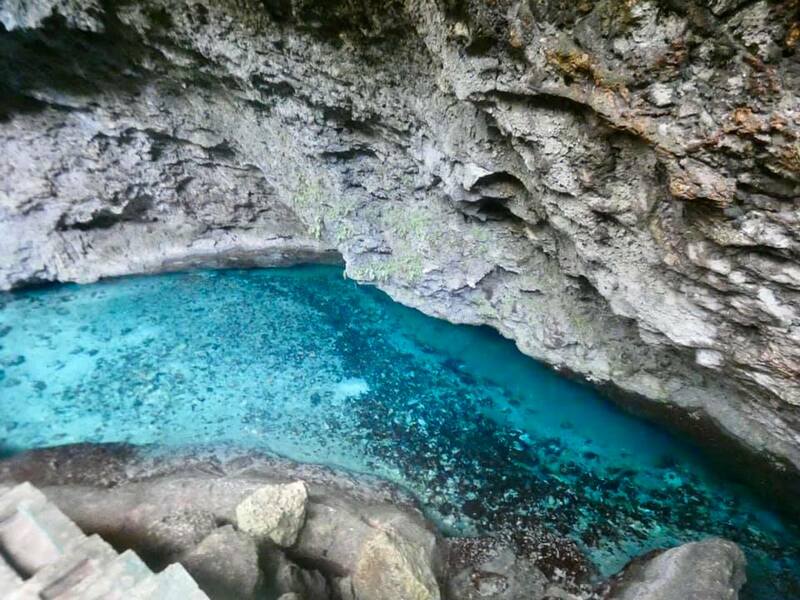 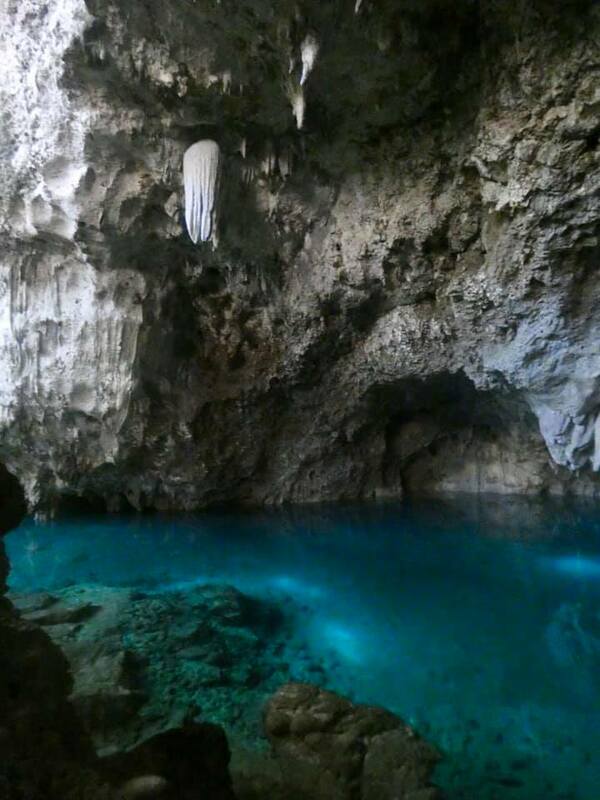 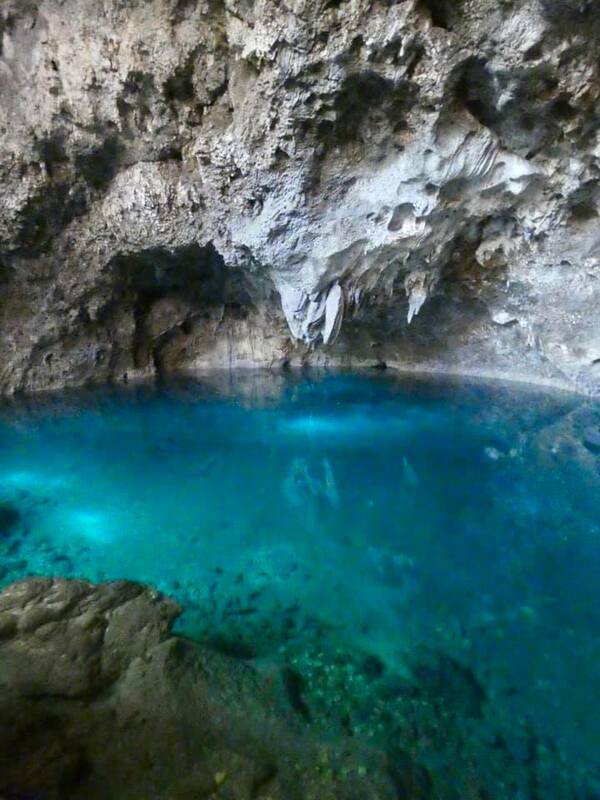 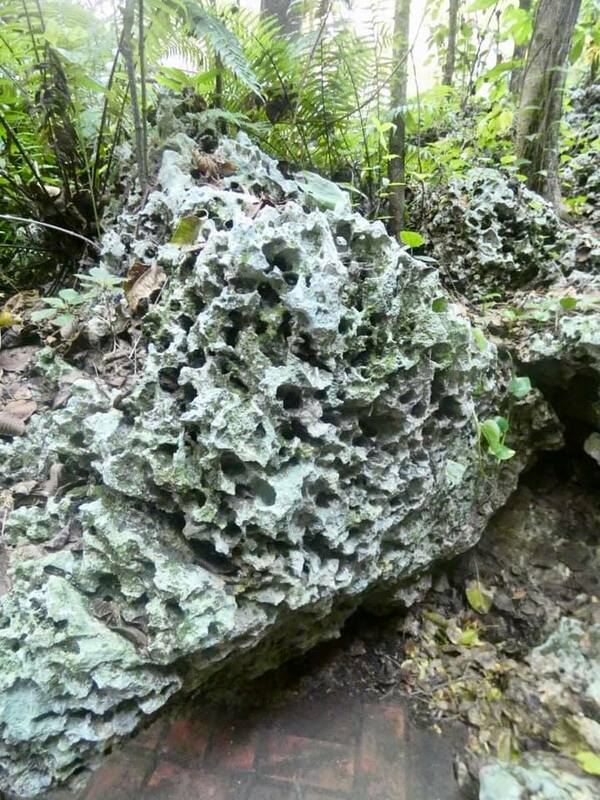 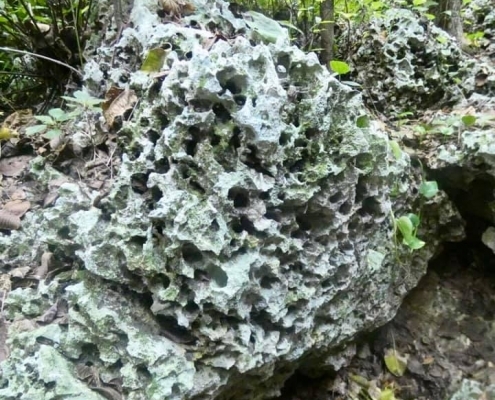 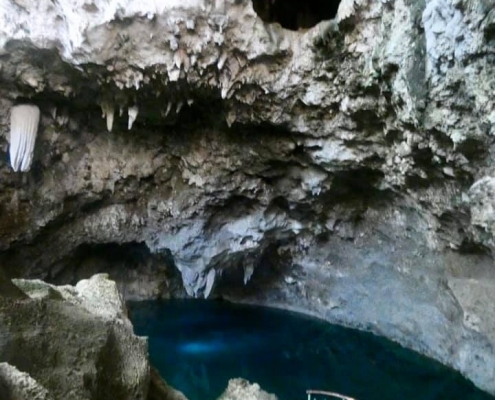 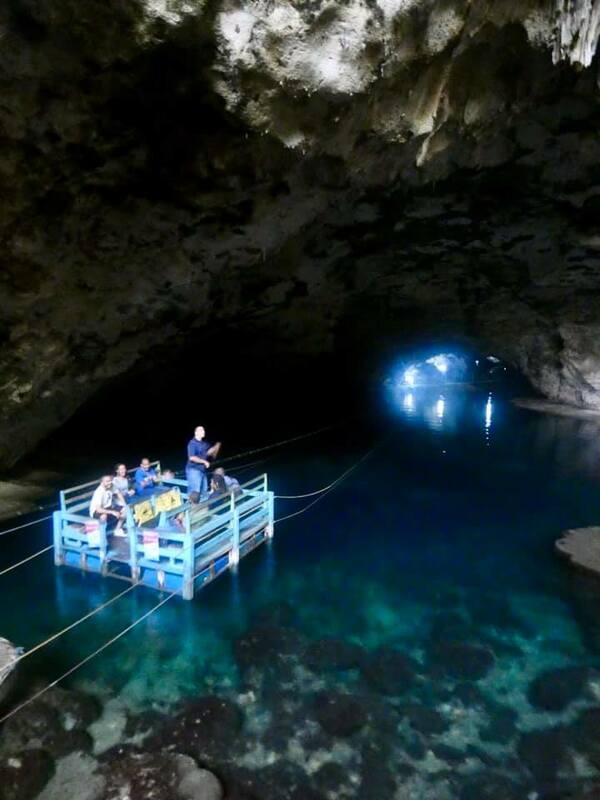 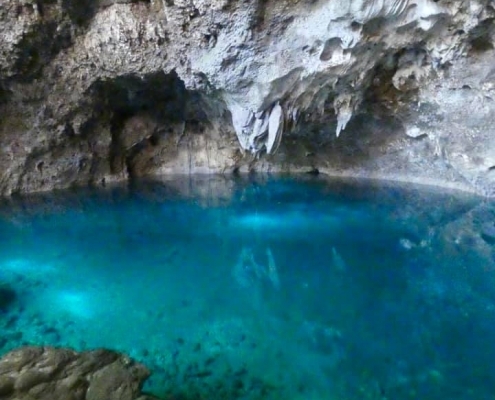 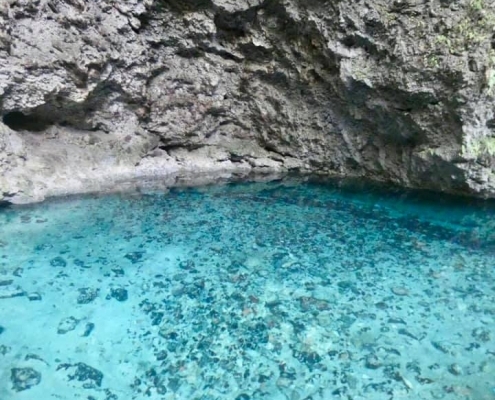 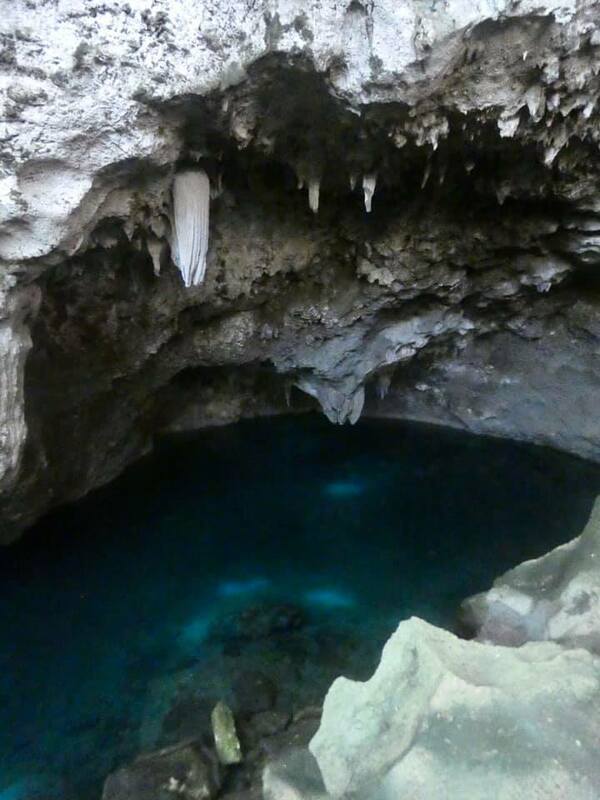 The calcium rich blue water fill the lakes underneath the hanging stalactites and columns. 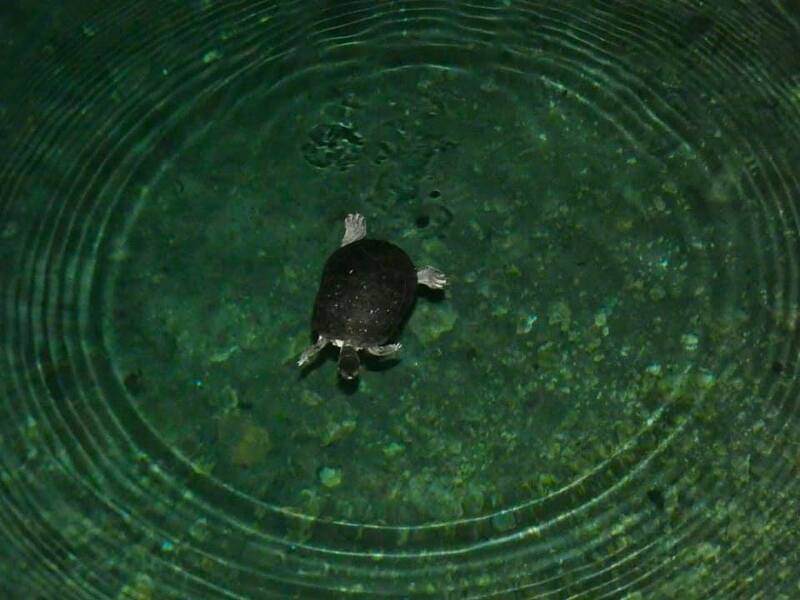 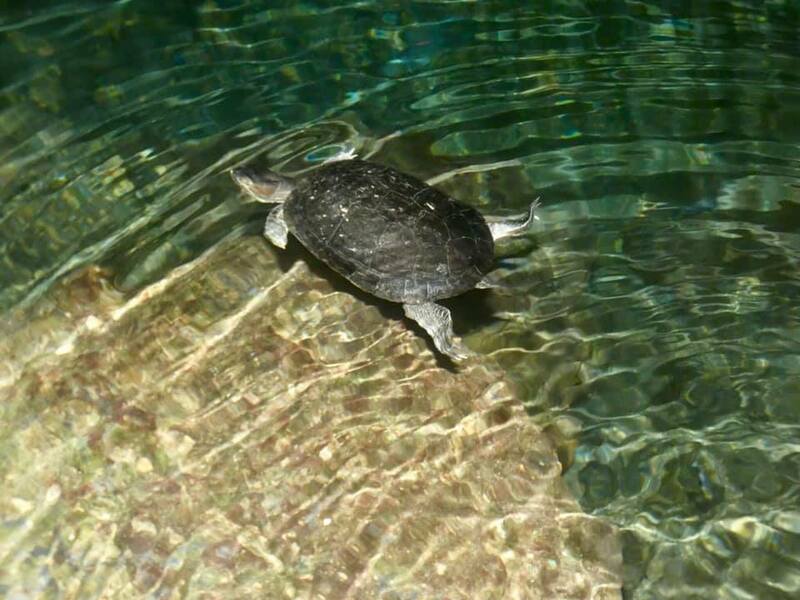 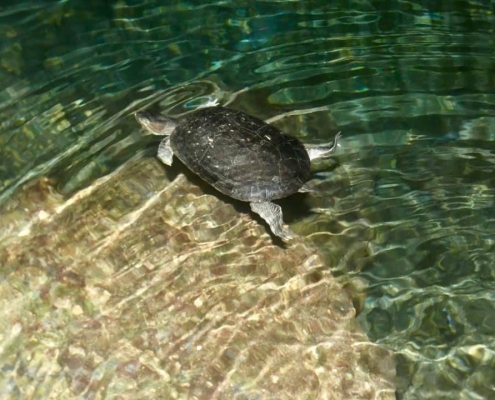 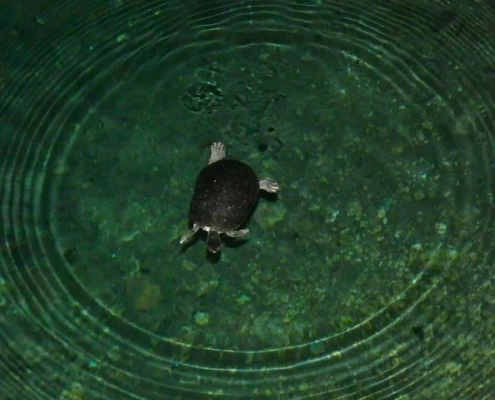 There are even turtles swimming in the lakes. 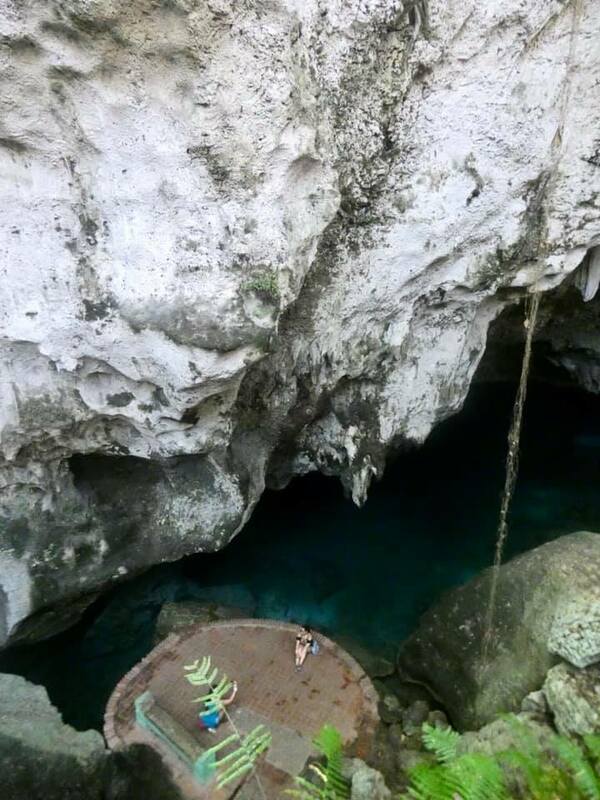 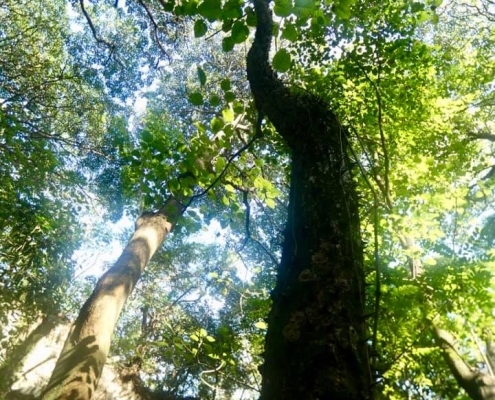 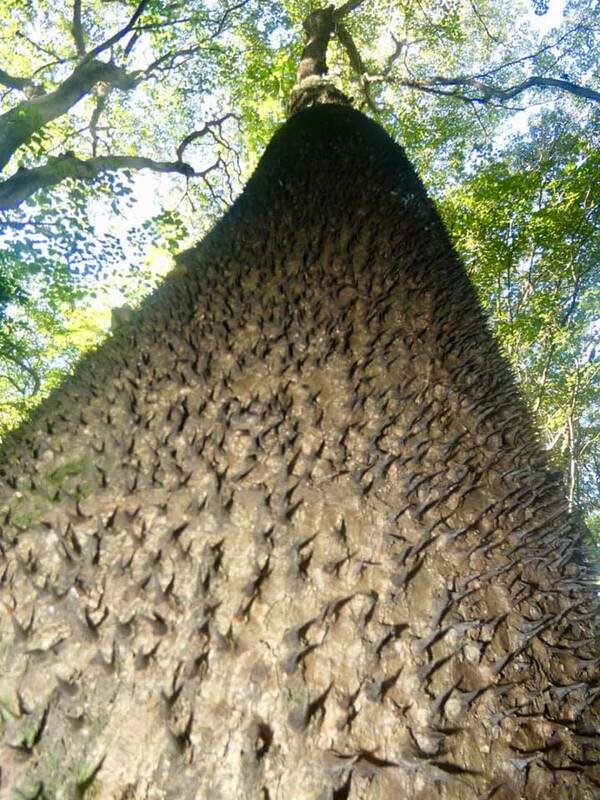 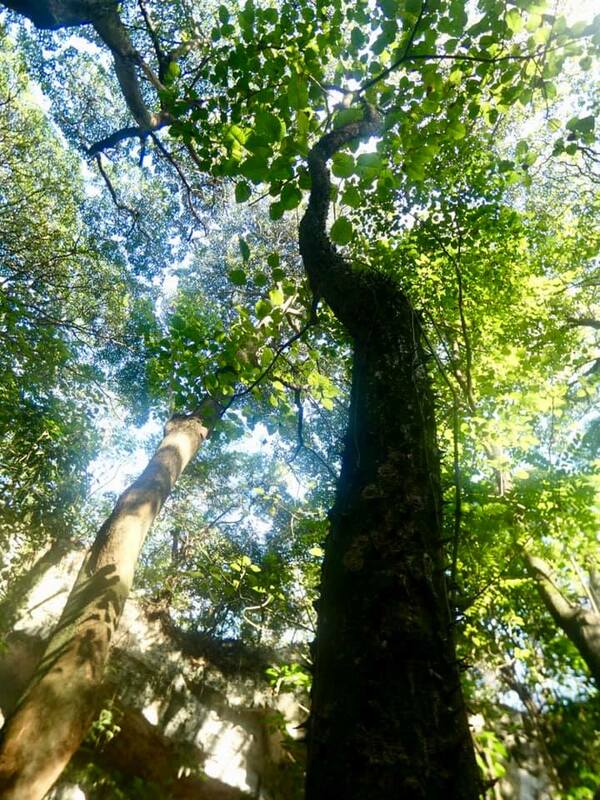 Tropical flora with massive trees fills the sinkhole.